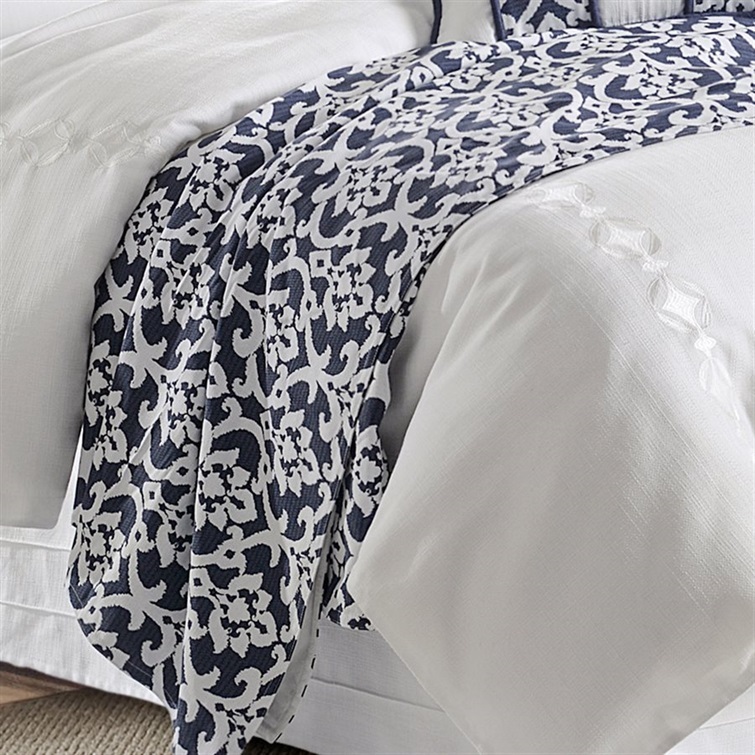 This refreshing crisp white look is going to lighten up your entire room. 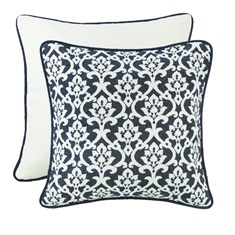 The subtle embroidery is a added level of texture that elevates the look. 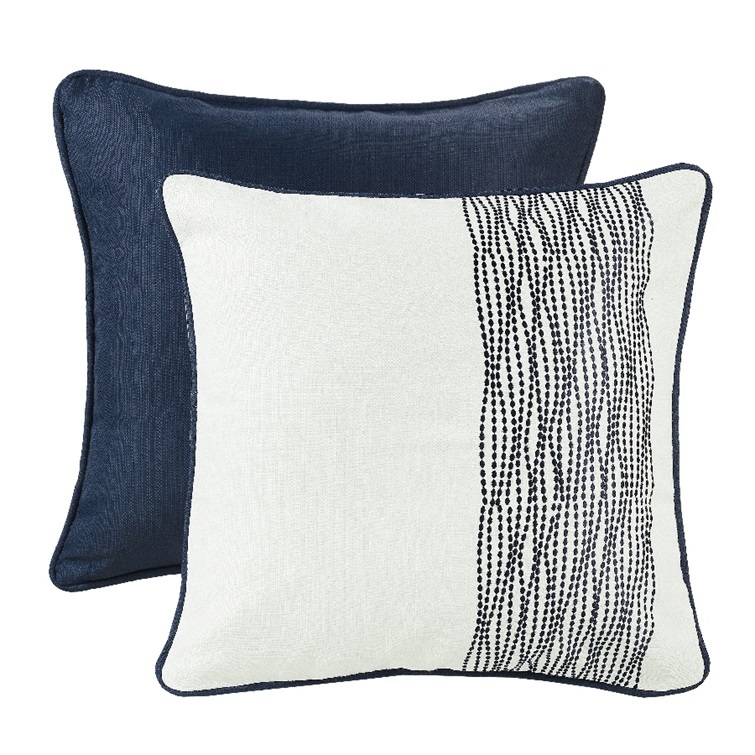 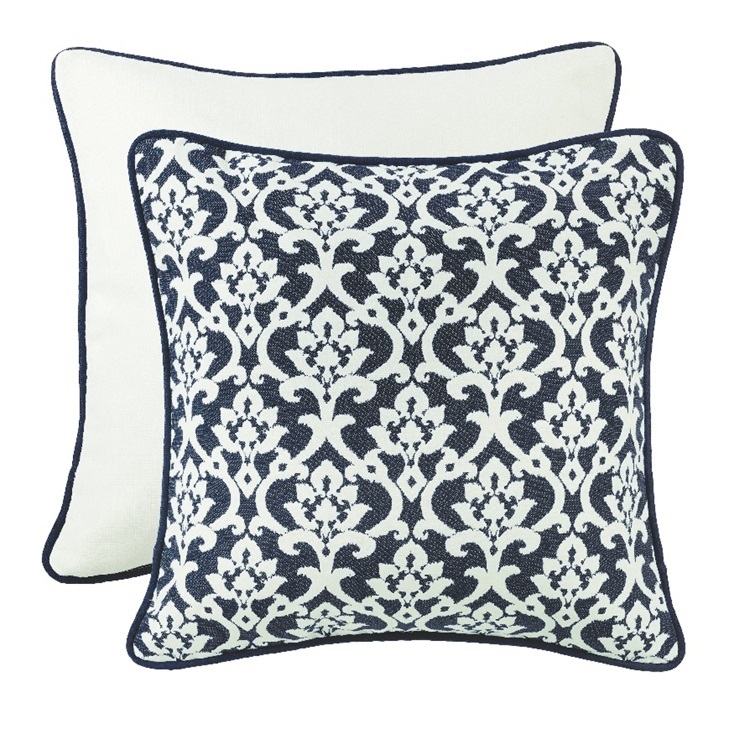 Adding the navy color pillows and beautiful white and navy jacquard, bring a unexpected sophisticated twist that completes this collection. 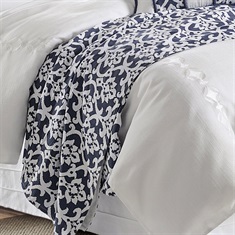 Queen set includes: Comforter, Bedskirt and Standard Pillow Shams.